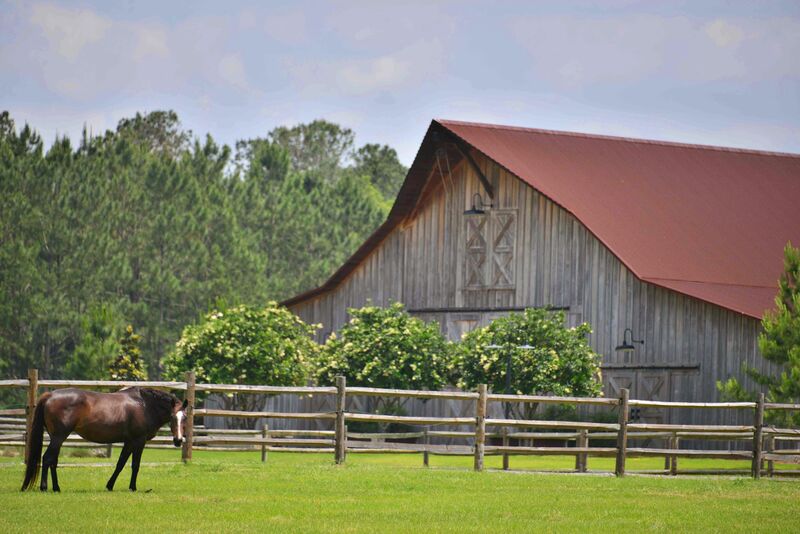 Located in the southern part of Marion County where some of the area’s oldest thoroughbred farms were first established, Vintage Farm is a testament to how land can enrich education. 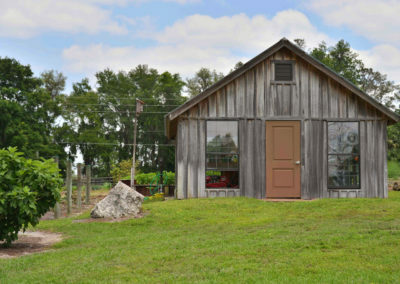 The gifting of Vintage Farm to the College of Central Florida is actually a story of the salvation of the land itself. 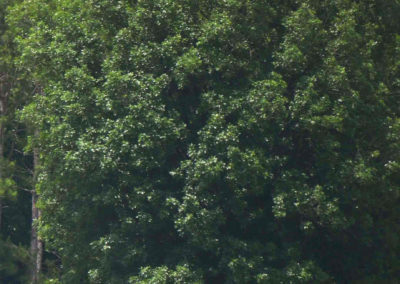 Photo courtesy of Felipe Cucalón. 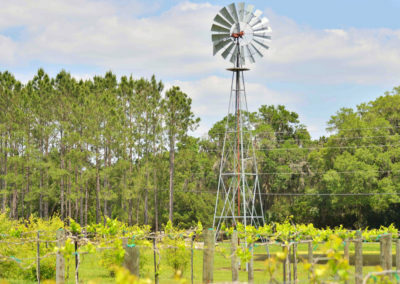 For decades, the picturesque farm on County Road 475 was owned by the family behind the Orlando Sentinel. 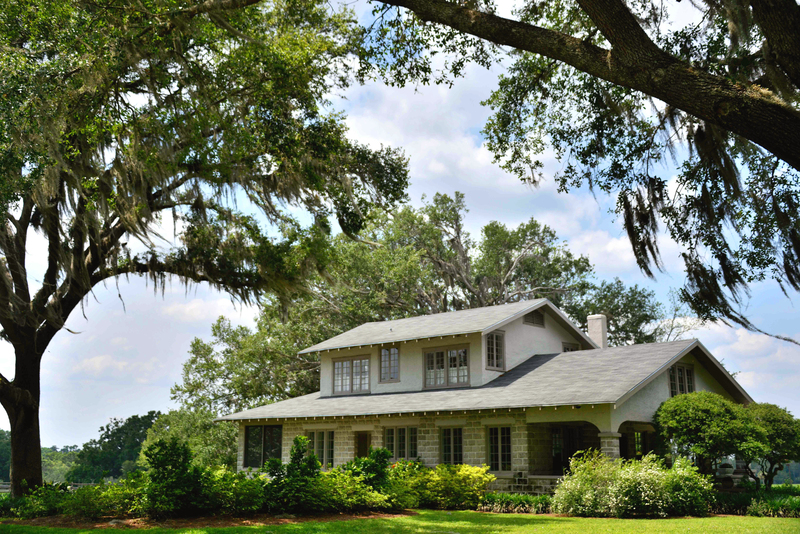 The current farmhouse was built in 1942 and a caretaker for the family lived there for many years. 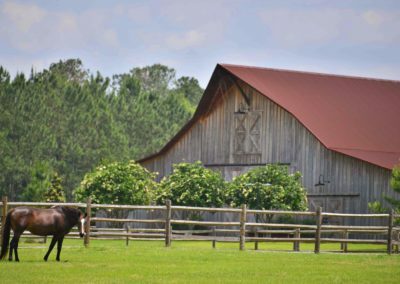 After his death, the house and farm sat empty for a time and in 2008, those scenic 103 acres were destined to become a community of 300-plus homes. 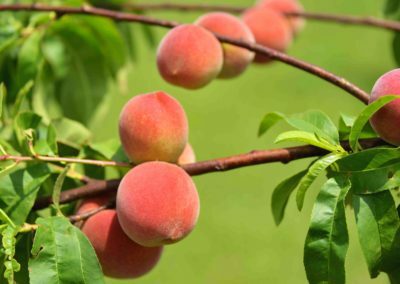 The economic crash of 2008 put a screeching halt to those plans and eventually the bank repossessed the farm. 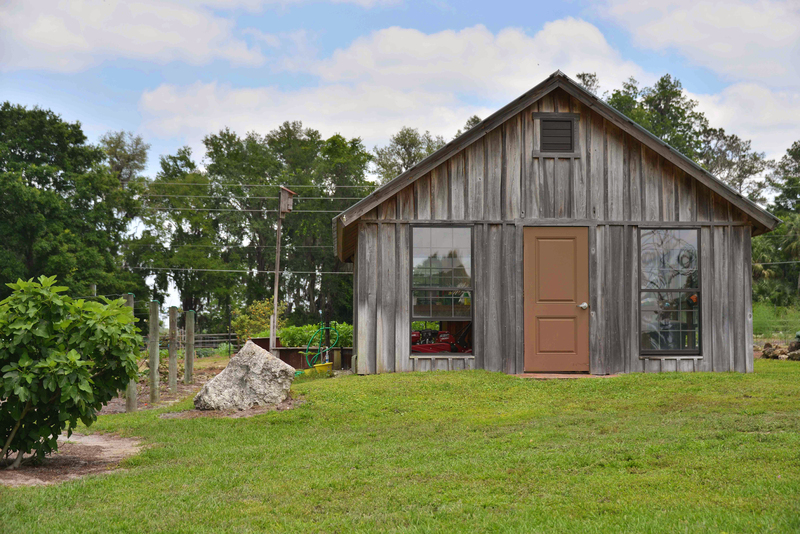 Enter a local farm owner/businessman who was drawn to the beauty of the land and saw vast potential in the old farm. 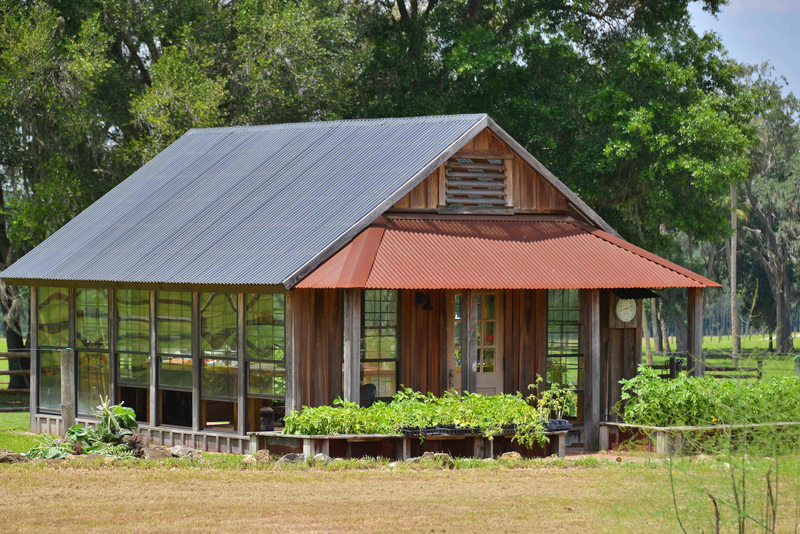 He purchased it from the bank and began bringing the farm back to life. 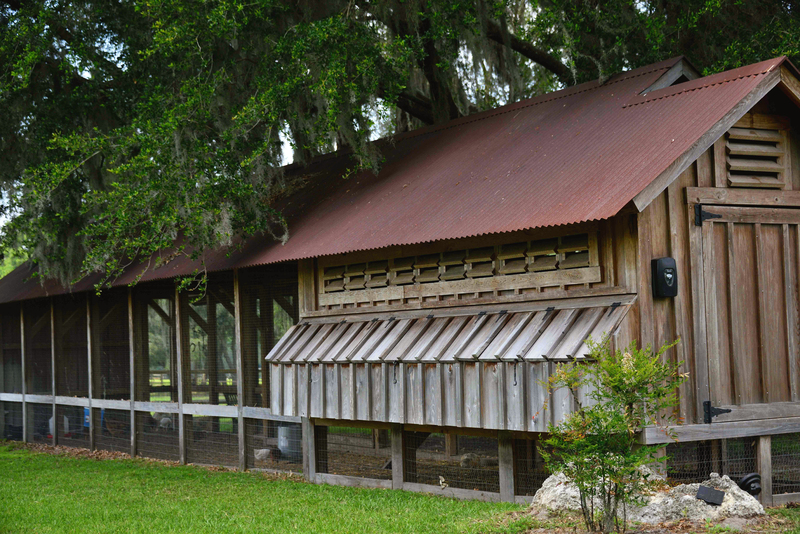 Barns were built that would complement the existing 1940’s home on the property, which was also restored, and fences were built so that pastures could once again be used for livestock. 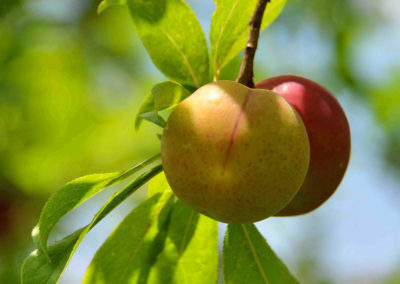 With an eye for the future, the owner also planted blueberry bushes and an orchard of peaches, plums and nectarine trees. 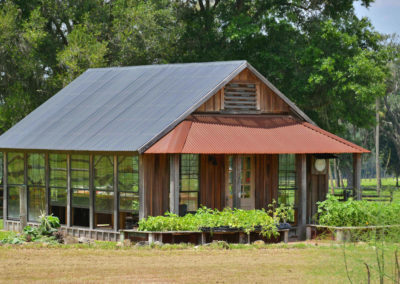 He had gardens put in and a greenhouse to give tiny seedlings a head start. 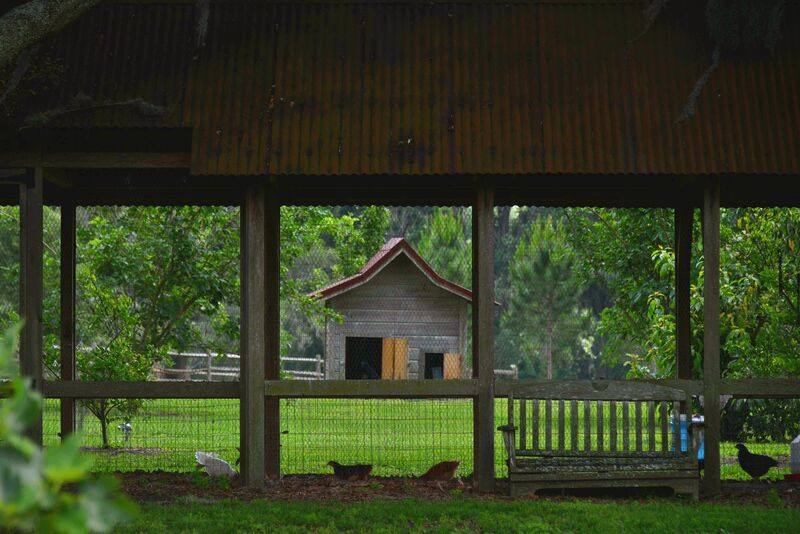 A vintage-style chicken coop was erected near the gardens and a herd of Hereford cattle was moved onto the land. 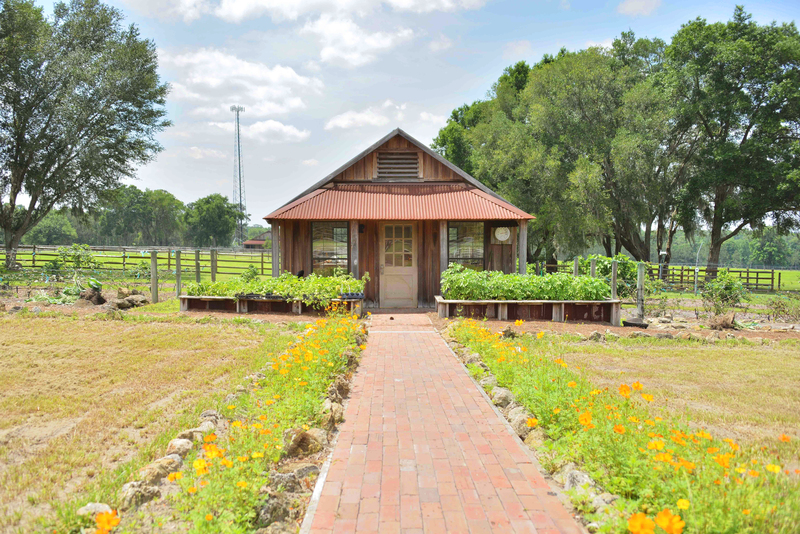 The purchaser of the farm had a dream of using it for education where school children and 4-H groups could benefit from getting their hands in the soil and working the gardens. 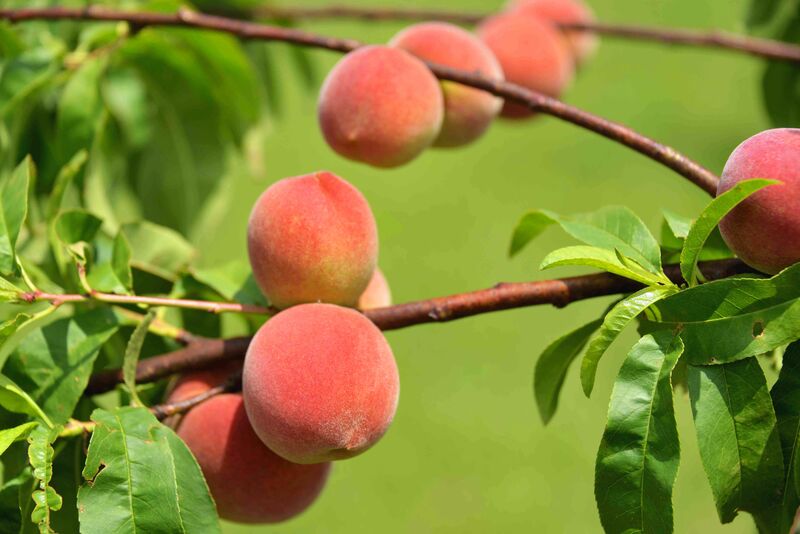 He hoped it would instill a respect and admiration for land in young people who hadn’t been exposed to farming. 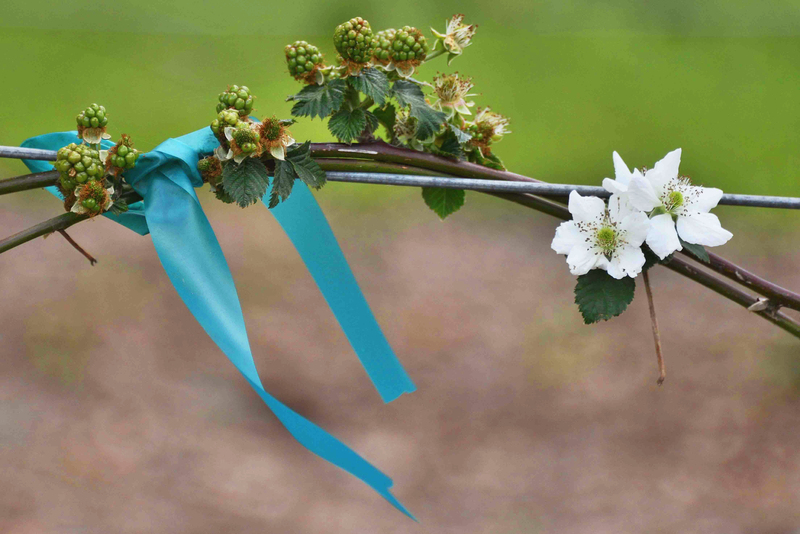 In fact, the hopes of inspiring future generations was the reason behind establishing the main garden near the road. 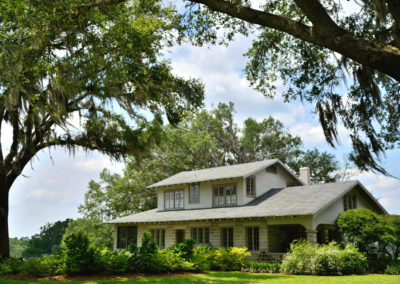 By saving the historic farm from becoming a subdivision, the land owner had already accomplished one mission, but he had even greater hopes. 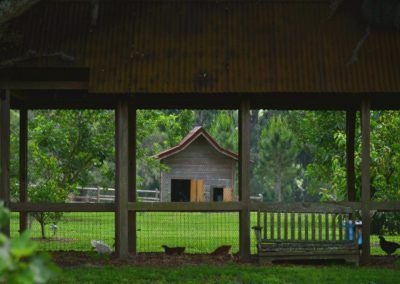 Knowing that the College of Central Florida had agriculture and equine programs, but no farm of its own, he decided to donate the property to the college. 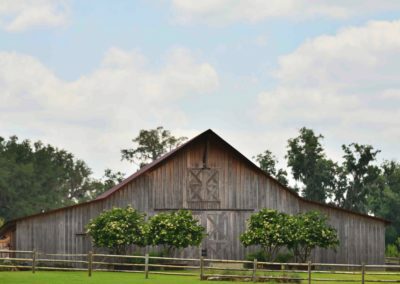 That is how in December 2016, the College of Central Florida received its largest donation to date: a farm valued at nearly $3 million to be used for education purposes. 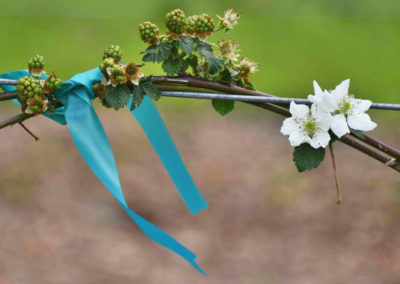 The donor wished to remain anonymous then and still does, but his generosity will make a positive difference in the lives of countless students in the years to come. 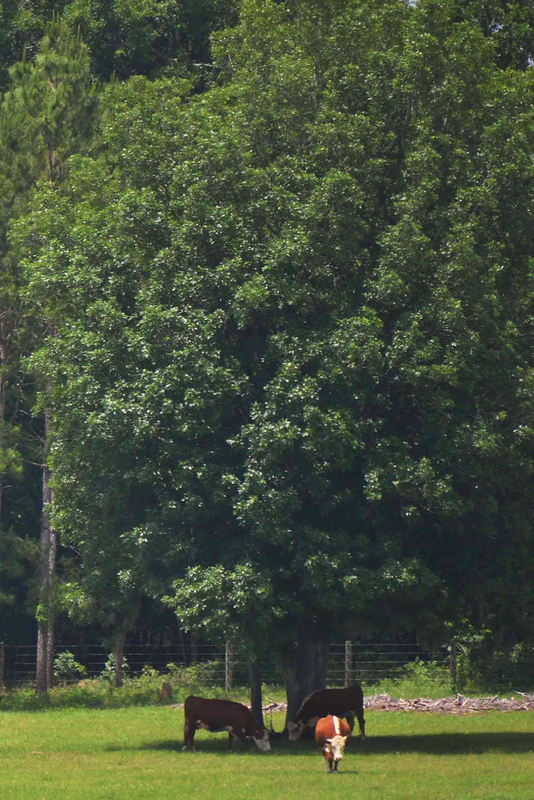 There are currently two horses at the farm and plans call for a total of four. 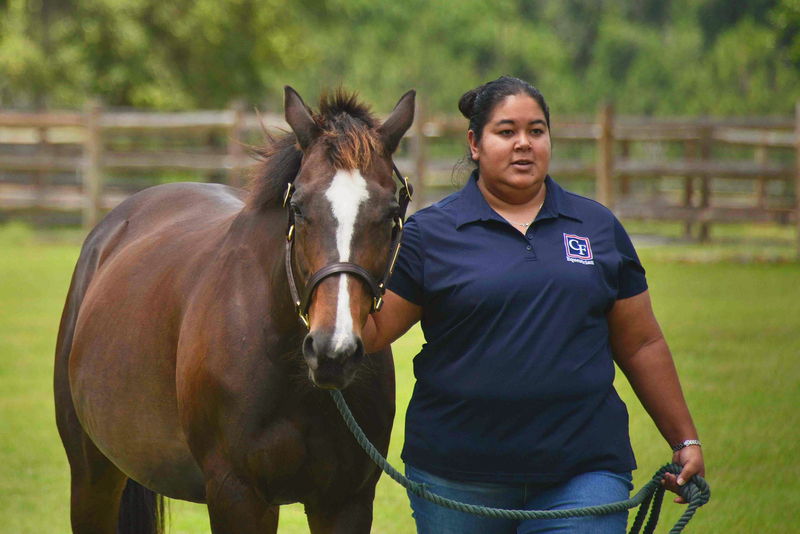 Rather than being donated, the horses are retired from previous careers and are boarded at the farm by their owners, who have given permission for the horses to be used for educational purposes. 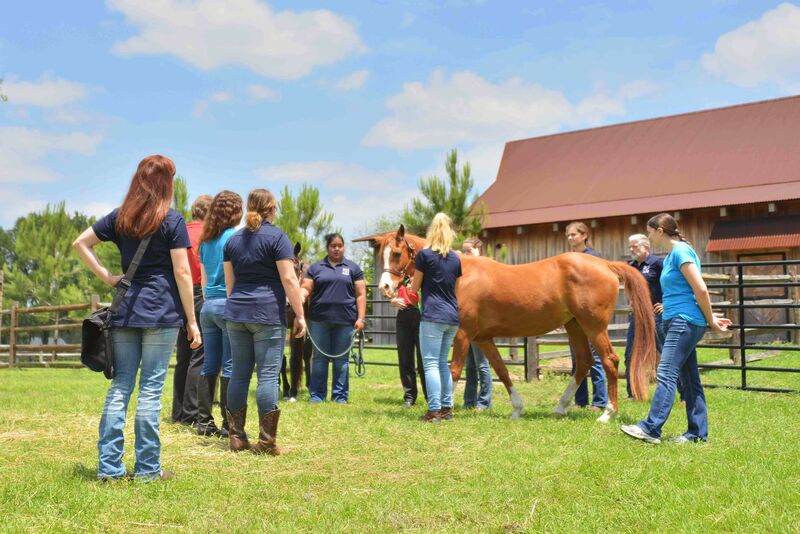 The bachelor’s program includes core business classes, and also advanced equine classes that focus on the horse industry as a business, such as Logistics for the Horse Industry, Integrated Horse Management, Equine Learned Theory, and Equitation Science. “The best thing about this bachelor’s degree is that by the time students finish four years, they’ll have done four internships,” Downer explains. 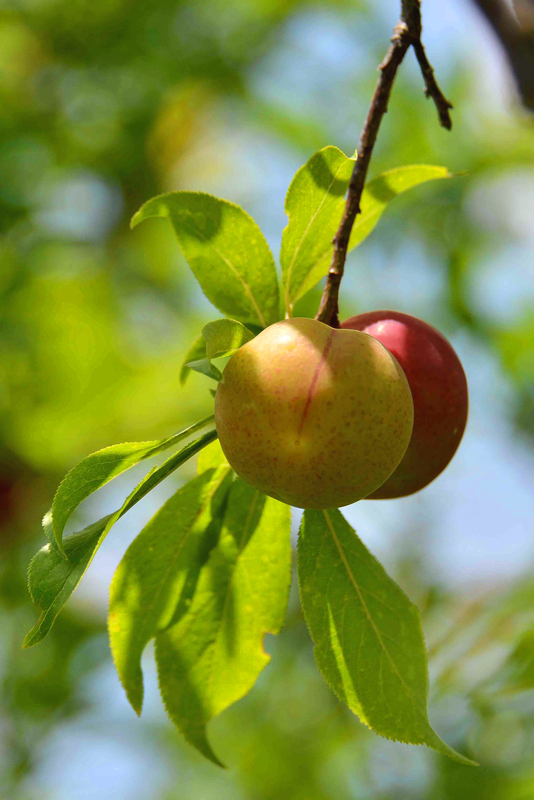 “We guide them into internships that are strategic for their area of focus. 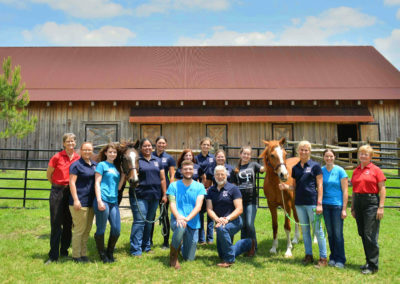 For example, if someone wanted to be in the Thoroughbred business, we’d have them do internships at businesses that offer real-life experience in their career choice. 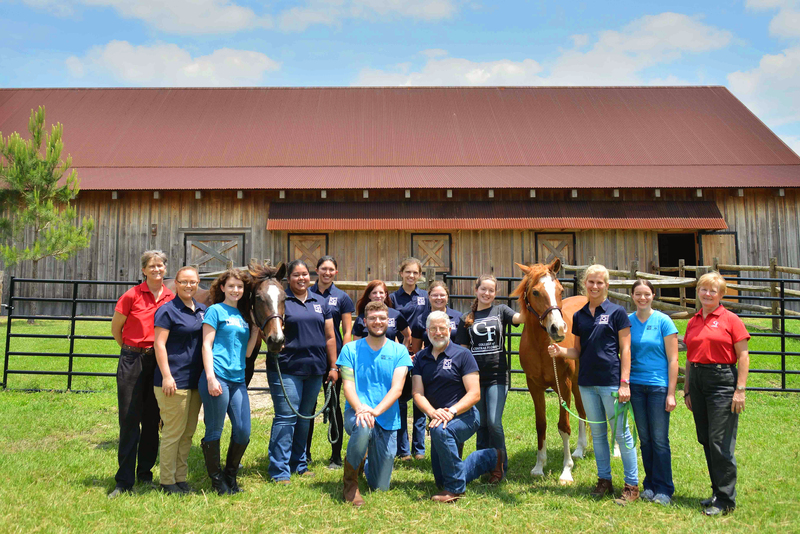 They might intern at Ocala Breeders’ Sales Company, a breeding farm, and a training operation. 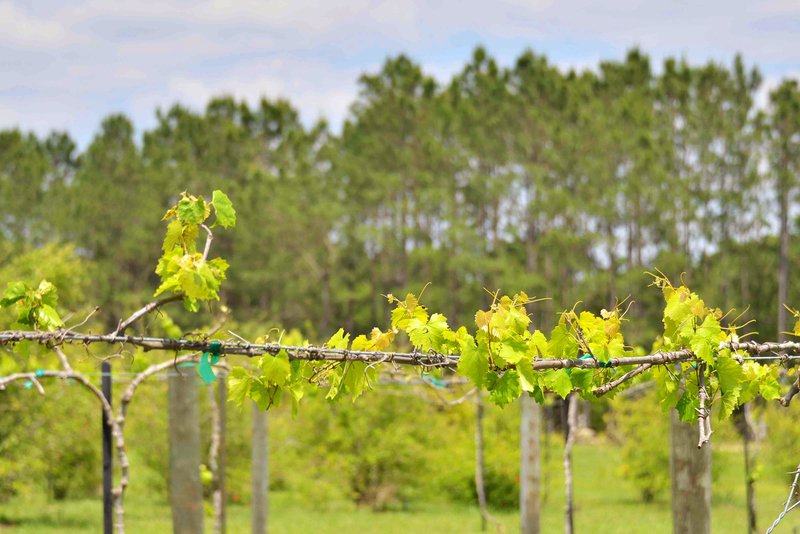 Of course, the Ocala/Marion County is an ideal setting for internships and hands-on learning. 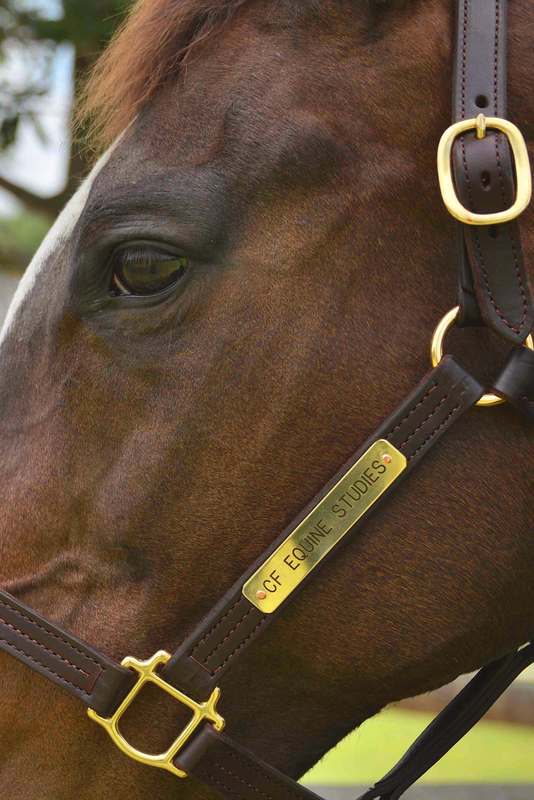 Between the thriving Thoroughbred industry, the new World Equestrian Center, HITS (a huge, international hunter/jumper competition lasting over two months), equine support services (veterinarians, farriers, dental and alternative therapy practitioners), trainers, competitors and local equine-related businesses, this area offers a tremendous opportunity for anyone eager to increase their knowledge of the horse industry. “What I love about this program is that our teachers do their best to expose us to the industry. 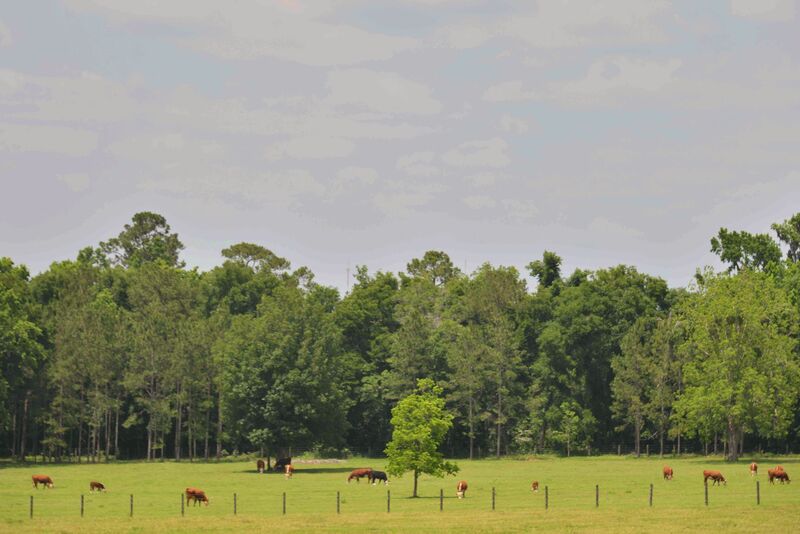 We’re in Ocala, Horse Capital of the World. 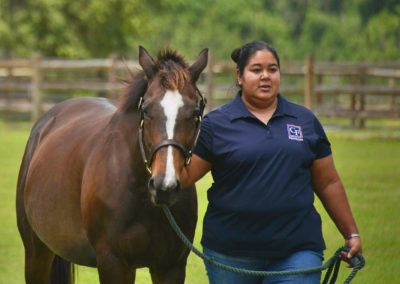 You cannot learn just from books; you have to get out and play the game,” says Clara Sanna, 26, who just graduated from Central Florida with her associate’s degree in equine exercise and physiology. 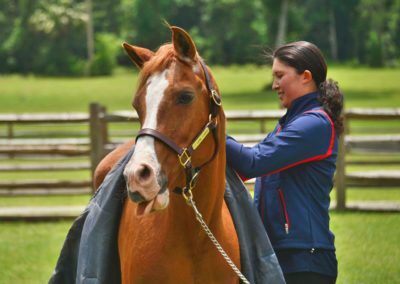 A native of Italy who grew up in Venice, Sanna was already a certified equine physical therapist for performance horses in her home country but wanted more education. 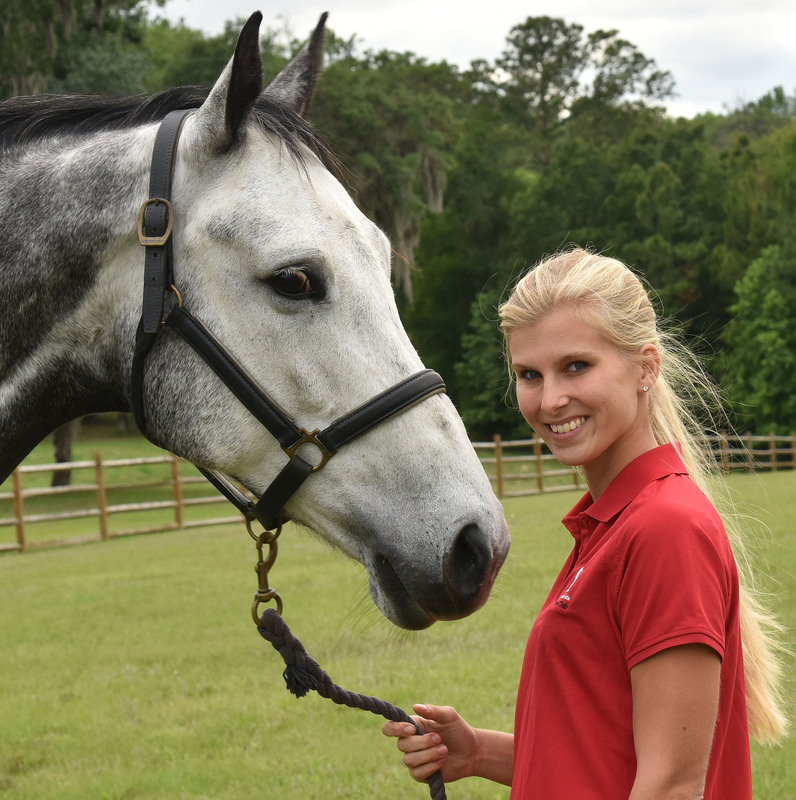 For Sanna, Central Florida became her first choice because of the specific studies offered. For her in particular, the chance to study exercise and physiology of the performance horse in the middle of horse country was a dream come true. 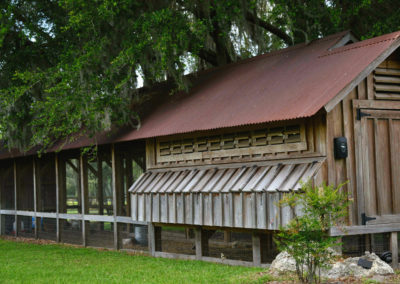 Vintage Farm played a significant role in her education. 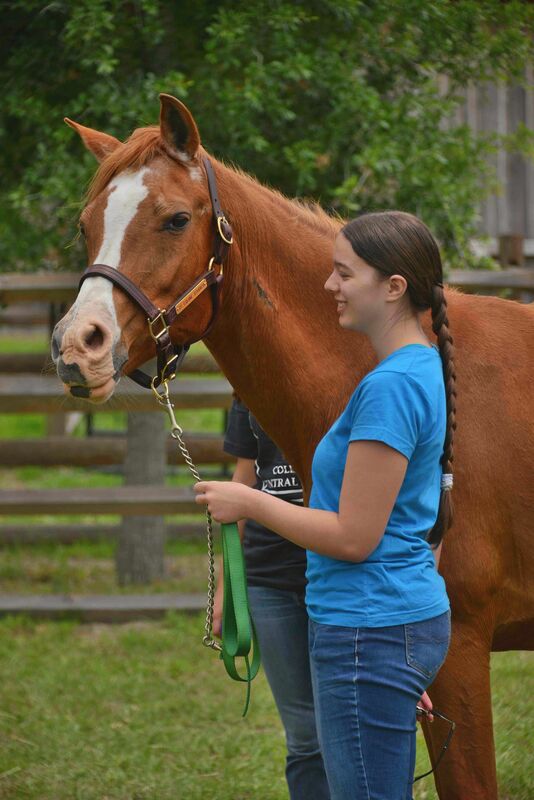 Prior to having the farm, whenever students had to do anything with live horses, they were taken to an area farm. 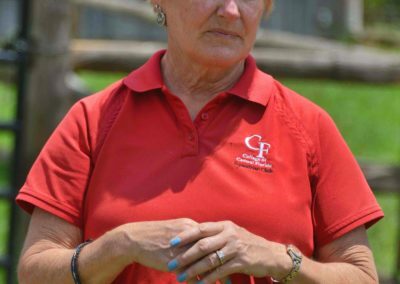 This worked well in many situations, but in the case of more hands-on lessons, local farm management wasn’t too keen on having students use their high-dollar Thoroughbreds to practice advanced restraint techniques, for example. 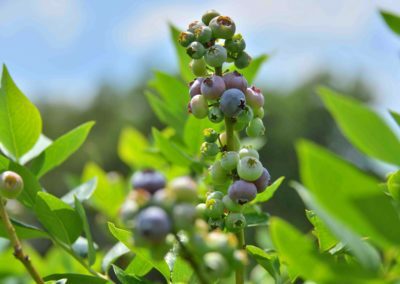 Downer notes that students enrolled in the new bachelor’s program will benefit from even more time at the college’s farm, which is only about five miles from campus. Plans call for the construction of a vet clinic lab with offices, covered arena, and classrooms. 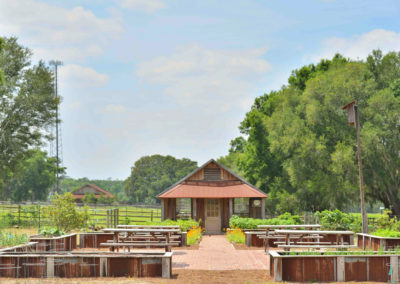 Some classes will actually be held at the farm, beginning with the fall semester. 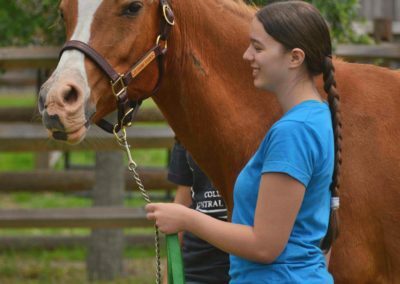 In the spring of 2019, students in CF’s equine program will host Vintage Farm’s first public event. 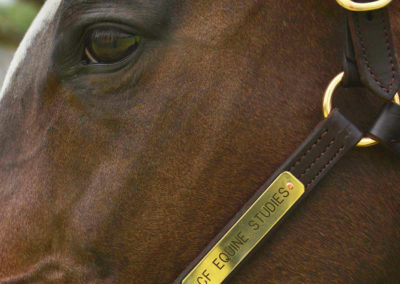 This education day on “Things Every Horse Owner Needs to Know” will be wholly organized and taught by the students. 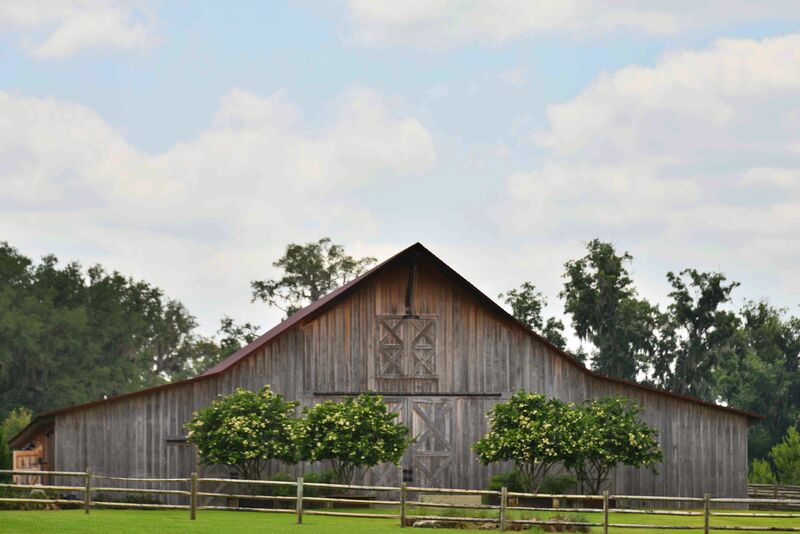 Vintage Farm is being used as a teaching laboratory for both the college’s Equine Studies and Agribusiness programs, the latter of which is headed by Matthew Albritton. 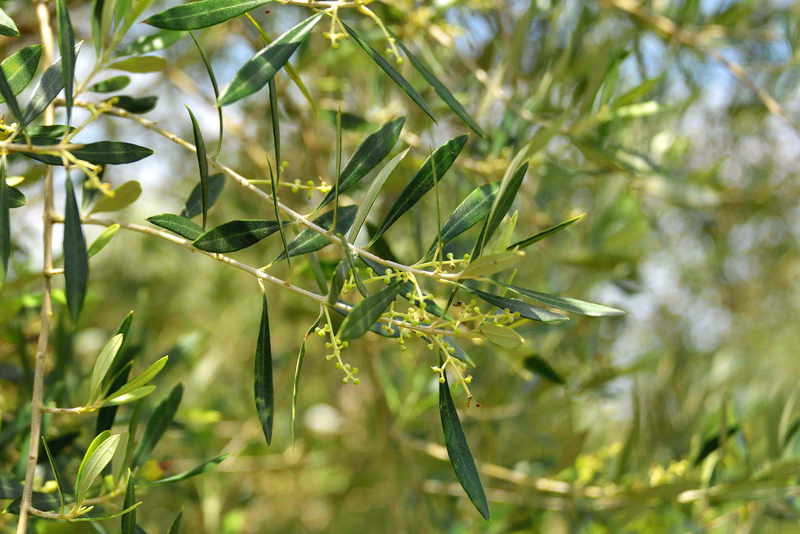 Vegetables harvested in the garden are even used in the college’s catering business. 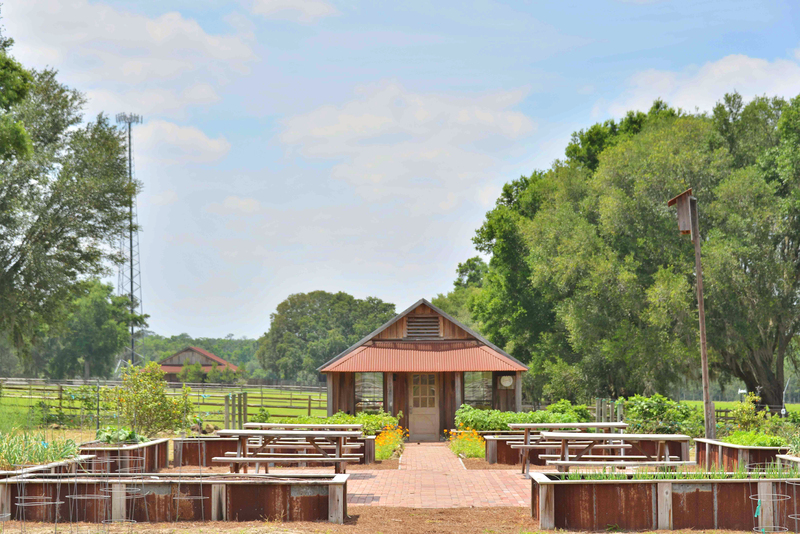 But the farm represents more than just a place to learn. It also provides the opportunity to understand more clearly why this area is such a vital part of our state’s history and economy. The rich veins of limestone and minerals that enrich the soil and water of this county do the same for the bones of young, growing horses grazing these fields. 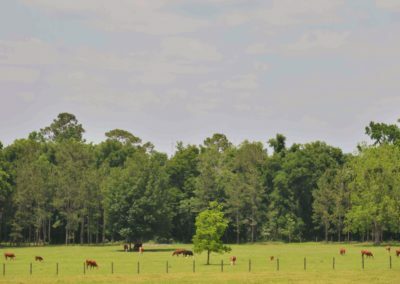 Walking these quiet pastures and breathing deeply beneath the sheltering canopy of old oaks is a link to an earlier time. 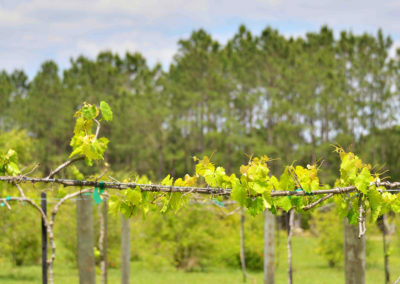 Long before Disney unveiled his fantasy vacation world and revelers flocked to the beaches for spring break, this part of Florida welcomed settlers intent on starting a new life. 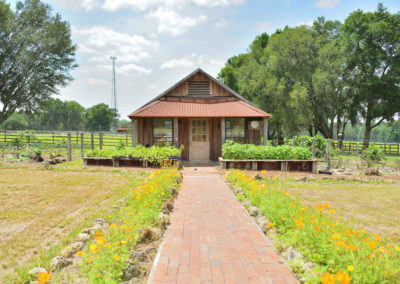 It was a life filled with challenges from weather, wild animals, rustlers, and renegades–even the land itself–but for those determined pioneers, a chance to own a piece of that land was worth the effort. 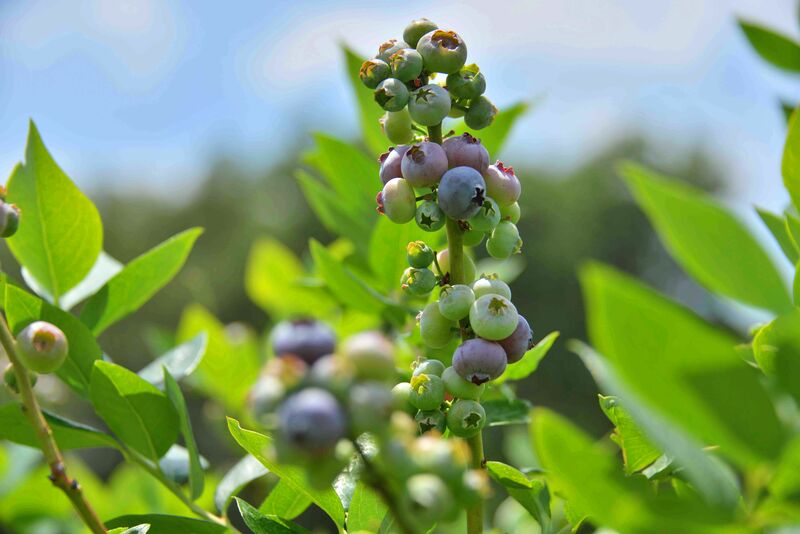 For the students studying at Vintage Farm today, and for those who will reap its benefits decades from now, the land continues to share its lessons and bless those who pause long enough to listen and learn. 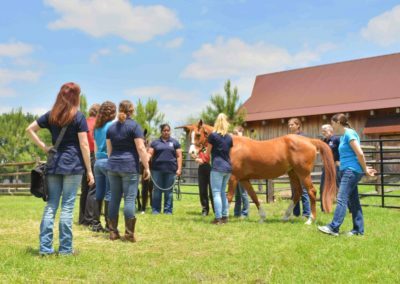 The College of Central Florida offers over 70 degree and certificate programs, including Agribusiness and Equine Studies. 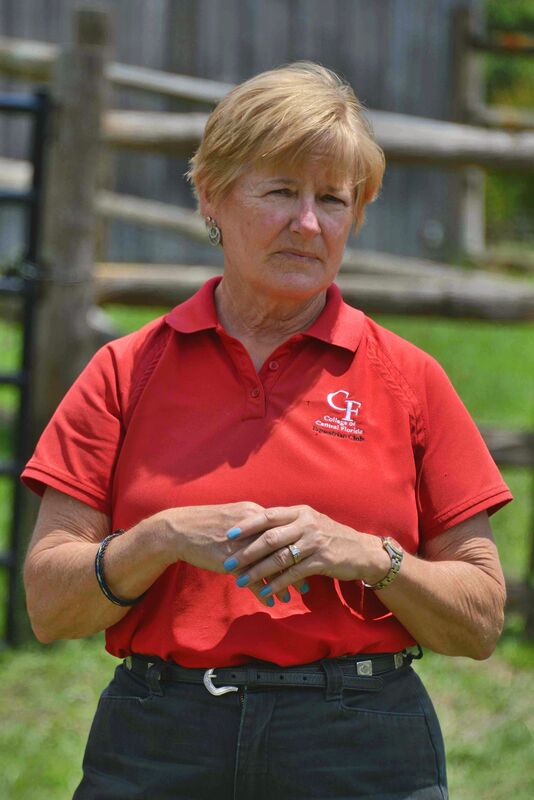 We would like to extend a thank you to Dr. Judy Downer and to CF for allowing us the opportunity to learn more about Vintage Farm and visit the farm. The Community Spotlight Series was created to highlight local residents, businesses, and events that contribute to making Ocala the city that we love. 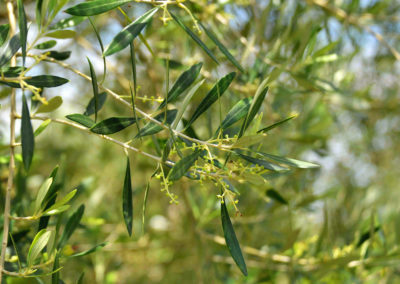 You can take a look at our previous Community Spotlights here.